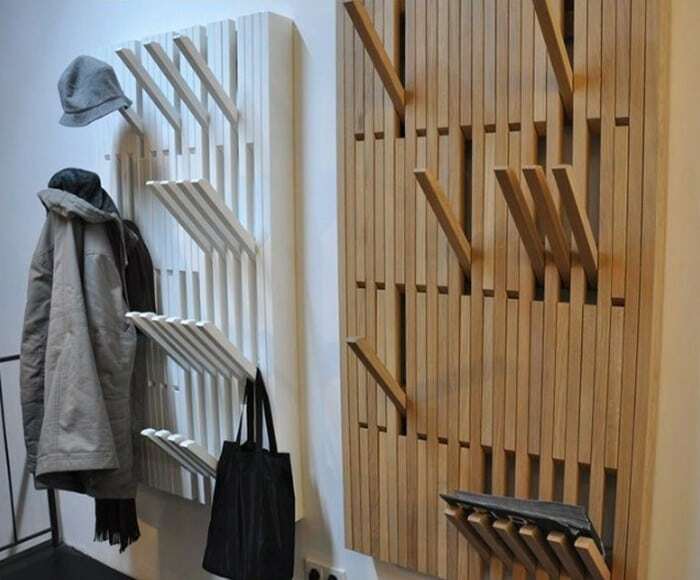 It may look like a simple wooden board for décor purposes, but this is actually a rack designed by Patrick Seha. Not only does it look great, but it’s also user-friendly. To hang things, simply unfold the hooks to use them and then flatten back when they’re not in use. 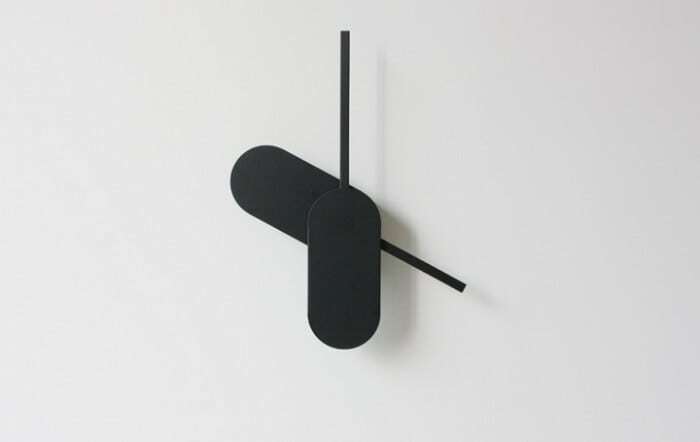 Though it doesn’t look like it, but this is actually a minimalistic wall clock designed by Yenwen Tseng, with the intention of exploring the perception of time. The two set of the hands on the clock interact inseparably to show different expressions of time at each moment. Beautiful! So, we came across this excellent bed by Joe Manus from Shiner International. 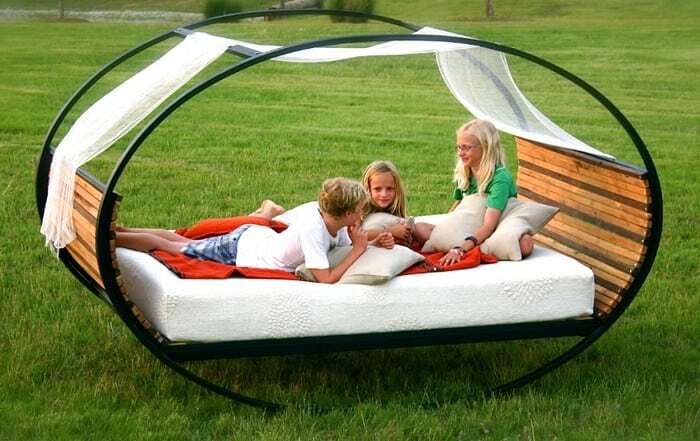 This bed is designed to promote tranquility and comfort. While some people think that users might feel a bit sea-sick with its rocking motion, but the bed can be fixed steadily with rubber stoppers. 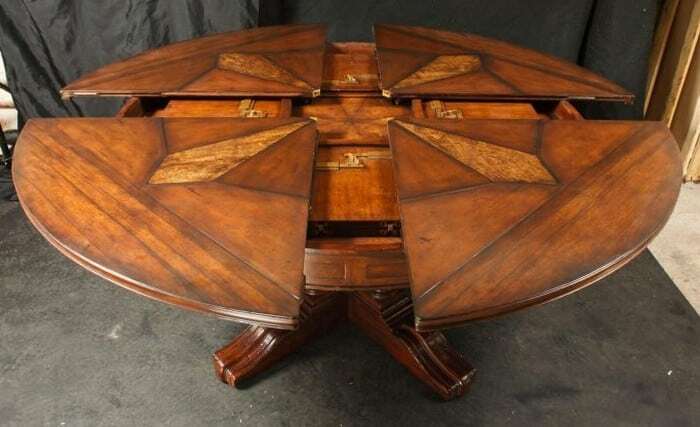 David Fletcher designed this fantastic expandable Capstan Table. It’s basically a roundtable with a comfortable and straightforward design, and it hides a tremendous secret. The tabletop can expand from a small-sized table to a larger one while maintaining its circular figure during the process. 15. 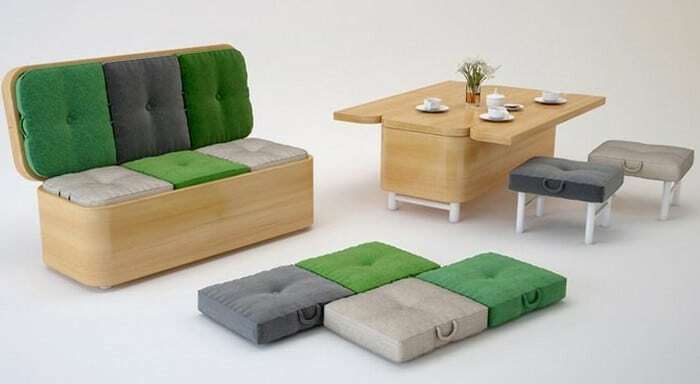 Multifunctional Sofa or Dining Table. Again, if your space is limited and you don’t have enough room for all the furniture you need. Designed by Julia Kononenko, this sofa can be transformed into a dining table with padded stool chairs, and it has quite a simple yet modern design.